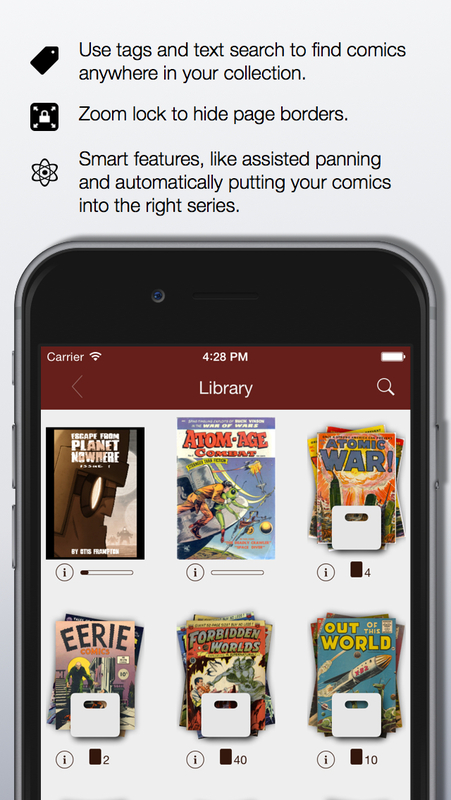 Comic Zeal, arguably the most popular comic reader app for iOS, has just been updated to version 8.0 for iOS 8. Indeed, Comic Zeal 8.0 boasts compatibility with the current version of Apple’s mobile operating system. It also includes an improved interface, which, according to developer Bitolithic, is “more consistent, shows more information and is generally much faster,” with a more helpful tutorial video to boot. 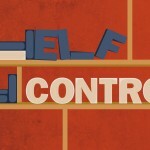 Moreover, it brings five new themes. 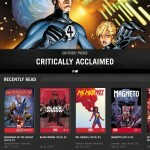 But most importantly, Comic Zeal 8.0 introduces new options for importing comics. In addition to good old iTunes file sharing via USB, Comic Zeal now supports importing comics via Wi-Fi Web server, iCloud and other file storage services, and AirDrop. To transfer comics from your computer to your iOS device via Wi-Fi Web server, first activate the functionality in the import section of Comic Zeal. Then, go to the specified IP address on your computer’s Web browser and upload files from there. To download comics from iCloud, tap the proper option in Comic Zeal’s import tab and navigate to where your desired files are. To download from other cloud services, tap Locations and enable Dropbox, iCloud Drive, or another service with iOS 8’s document picker. And if you want to transfer comics from your Mac running OS X Yosemite via AirDrop, you can do just that by enabling Apple’s wireless transfer utility on both your Mac and iOS device. Note that you can still use Comic Zeal Sync if you want to resize your comics into cbi files, which can then be imported using the aforementioned methods. You can also still download free titles from Bitolithic’s special comics catalog. Compatible with iPhone, iPod touch, and iPad running iOS 8.0 or later, Comic Zeal 8.0 is available now on the App Store as a free update or as a new $4.99 download. Comic Zeal is included in AppAdvice’s Best Comic File Readers AppGuide, Best iPad Comic Books Apps AppGuide, and Apps For Comic Geeks AppList.